You’ve probably heard about bendgate by now. The latest controversy involving Apple phones. Apparently, because of the nature of the iPhone 6’s design it’s possible to bend the phone. If you’re sans protective case, the plastic and metal involved is fairly pliable if you happen to be wearing tight jeans. And a couple of investigative teens are taking a look at the problem personally, and actually visiting Apple stores, to investigate whether or not the phones can be bent. You can see from the photo above, that yes, the phones can indeed be bent with a little bit of force. Although Marnie Bennett doesn’t recommend destroying property that doesn’t belong to you. Probably best to leave the phones where they are, so that you don’t face criminal charges in your quest to make yourself a viral video. Life hack is a term that even I despise. So why am I writing about a website that provides life hack advice? Well, because this one is actually really cool. The site provides tons of advice for all walks of life. Whether it be life hacks relating to fitness, your personal life, food, as well as tech advice. Making the most of websites like Google, or Wikipedia for example. If you’re like me, you’re one of the Destiny players that sunk countless hours of game time into shooting at a random hole, and killing the legions of Hive that respawned infinitely. Up until yesterday, this was one of the best possible ways to farm Engrams in an incredibly short amount of time. Countless gamers utilized the loot cave to farm for better gear, weapons, and to level up the Cryptarch so that he would bestow better gear upon you. This was also a great way to level up weapons and armor, as the canon fodder presented an extremely fast XP opportunity. 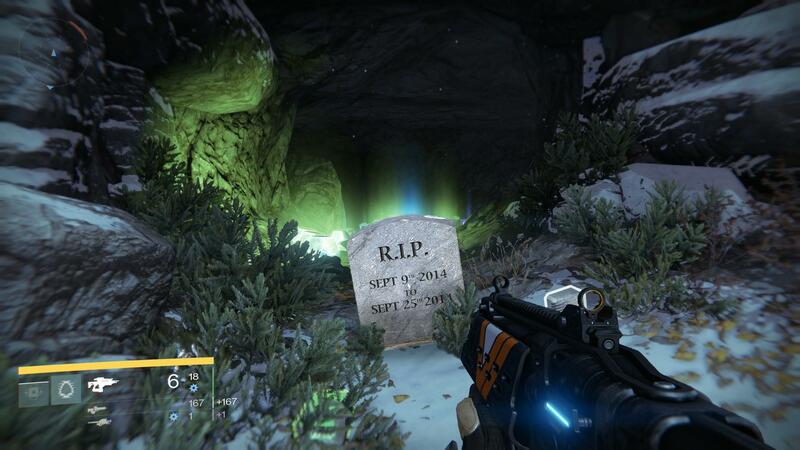 However, Bungie nerfed that yesterday morning, and killed the beloved loot cave for Destiny’s entire gamer community. But, as exploits tend to be, there’s of course another cave that functions pretty much the same way. Also located in Old Russia, this cave does about the same thing, although you have to stand further back, so shooting enemies is a little bit more difficult. However, you’re presented with a perfect opportunity to continue farming engrams, and finding some really great gear, really quickly. Here’s IGN’s guide on how to find the new cave.